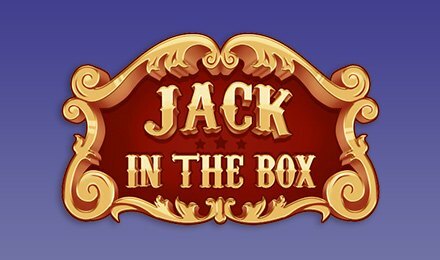 Join the circus on Jack in the Box Slot to enjoy thrilling game features like Mega Wild, Free Spins, Jack in the Box bonus and Expanding Wilds. Spin on Pariplay creation called Jack in the Box Slots. This visually stunning and sophisticated slot offers 6-reel, 100-line. The theme revolves around a circus, featuring as background with symbols like popcorn, cannons, rabbits, lions, elephants and more. Pick your bet and be ready to roll! Game features available on this highly thrilling slot are Expanding Wilds, Mega Wild, ‘Jack in the Box’ bonus game and free spins. With awesome sights and surprises, Jack in the Box Slot is definitely an exciting game to play.